John McCormack was born in Palo Alto, California, on April 13, 1944. He received his B.S. degree in mechanical engineering from Oregon State University in 1967. John is a 1973 graduate of the American University Law School in Washington, D.C. While attending law school, he worked as an Examiner in the U.S. Patent and Trademark Office. John was on law review and was a recipient of the American Jurisprudence Award. After graduation, he joined an intellectual property law firm in Washington, D.C. and worked there until 1976, when he joined the Kolisch Hartwell firm. He has dedicated the major portion of his practice to trademark litigation and prosecution and assisting clients in obtaining patents in the mechanical arts. 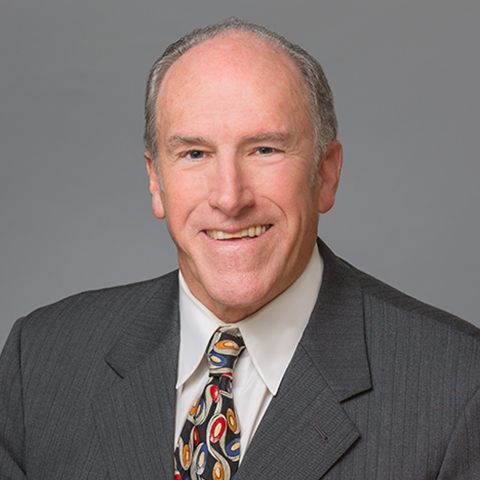 John is one of the few trademark attorneys ever to have argued before the U.S. Supreme Court. He represented the respondent in Park ‘N Fly, Inc. v. Dollar Park and Fly, Inc. He has argued cases before the Court of Appeals for the Federal Circuit, recently securing affirmance of a judgment of noninfringement on behalf of the defendant in the patent case of ACCO Brands, Inc. v. Micro Security Devices, Inc., et al. in 2003. John is an adjunct professor of law at all three law schools in the state of Oregon: the University of Oregon School of Law, Willamette University College of Law and the Northwestern School of Law of Lewis & Clark College, where he teaches patent law and policy, trademark and unfair competition law, copyright law, and intellectual property licensing. He has authored articles on patent law that have appeared in the Oregon Intellectual Property Law Newsletter, and is presently completing an article for publication in the Willamette Law Review that will analyze intellectual property cases decided by the Ninth Circuit Court of Appeals. John is a member of the State Bar of California and the Bar Association of the District of Columbia, the American Bar Association, the American Intellectual Property and Oregon Patent Law Associations, the Santa Clara County Bar Association and the Intellectual Property Law Section of the State Bar of California. He is also registered to practice before the U.S. Patent and Trademark Office, and is a past President of the Oregon Patent Law Association. John is fluent in Spanish.